Life is full of daring adventures so why not try paragliding? Soaring without wings and savouring the chronicles of the landscape is such an exciting journey. The glance of the wonderful panorama craves the glimpse of thrilling destinations. The gushing adrenaline excitements of flying high and enjoying the majesty of nature is what scripts paragliding. The cheerful navigation around the rainbow and the kissing view of the sun causes Goosebumps to your body. 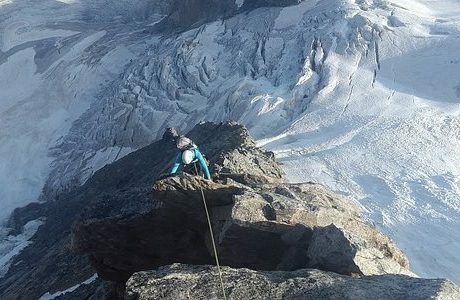 The delighting pleasure as you buzz high swooping through the mountains converts the fear to the moment of awe. This breath-taking glorious sport is one of the miraculous of all the aerial pursuits. Paragliding is ironically remarked as driving in the air and if the wind is in its mood. Have you ever thought of swinging in the air? While you are thinking let me pour up my thoughts to make your journey more exciting. Once you visit this spot it would be a hard decision to leave it. You can jump off from 2000 meters or even more in some cases. And while gliding you can spot beautiful blue lagoons from the air. 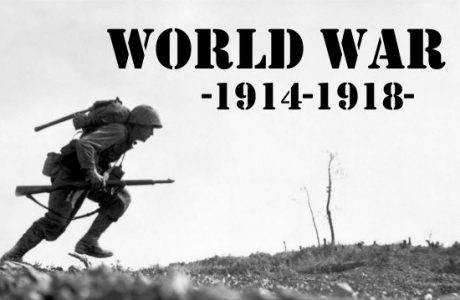 Worrying about visiting time? You can go there at any month around the year. 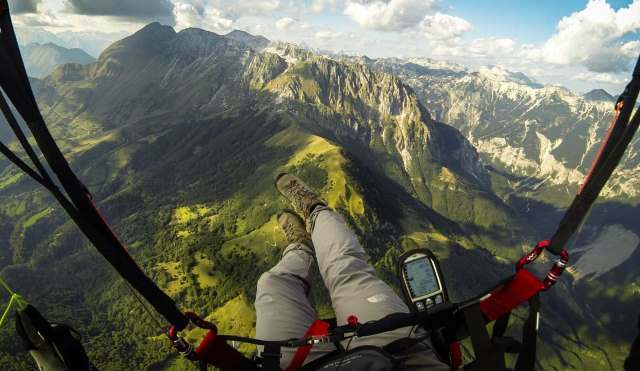 If you’re looking to jump off from the biggest mountain range in Europe then look no further because this is perhaps the best paragliding destination which you’ll ever come across. Paragliding was never made this exciting before, in winters you can enjoy countless skiing sessions while in the summers it’ll become a paragliders paradise. It is open for tourists all year round but paragliding is only possible during the summers. Ah! The land of the Colosseum never ceases to awe people with stunning culture and landscapes. The flight time is quite longer than the other entries in this list, approximately 30 minutes long. So you can easily hang around in the air, and enjoy the beautiful Alpine meadow. Yes, it is the largest Alpine meadow in Europe. 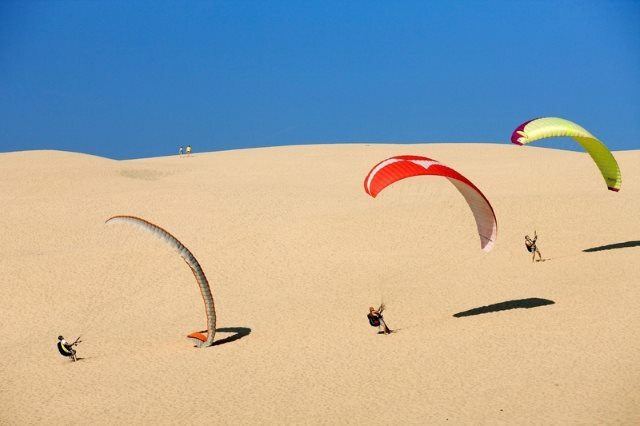 Perhaps the best paragliding destination in the whole of Western Europe, this site offers a beautiful amalgamation of the sea with the white sand. You can jump off a sandy ridge and the rest will be taken care of, the winds over there are highly suitable for paragliding services hence creating a unique and over the top experience for gliding enthusiasts. Once again Europe knows how to serve well! If you’re visiting Seoul then most probably you should invest a little more time, say two and a half hours and drive up to a place called Danyang. Now here’s the real deal, you get to fly from two different runways from two different mountains. It is open for all seasons around the year and serves the flyer with beautiful sceneries of mountains and valleys. Spread your wings and jump off the cliff in Slovenia. For real thrill and bliss of paragliding, one should visit the Julian Alps for they offer excellent services and great sceneries as well. It is well suited for both professionals as well as beginners. Europe seems to amaze us always! 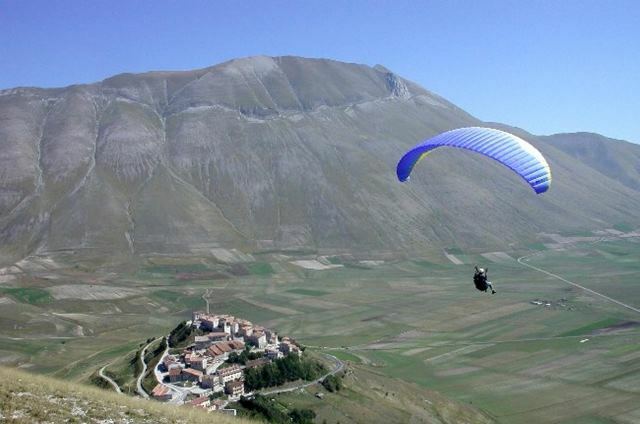 Wanna jump off from the highest village in the Apennines? Then you have stepped onto the right place, at 1452 m above the sea level, this little village provides breathtaking visuals in the form of blooming flowers. The best season to fly around is nearly every month but if you want to feel the extra beauty this village has to offer then do visit this spot in springtime. Why do you ask? Well, it is the season in which flowers bloom and who doesn’t love flowers! Plus the flying schools there provide excellent services as per your needs so don’t fret and let yourself glide. In the land of beautiful landscapes and of course Maoris, lies this beautiful town. 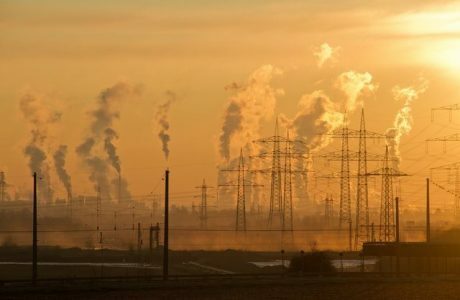 The location itself provides beautiful eye captivating sceneries. It has some of the best resorts known in the country so you don’t have to worry about the services as well. 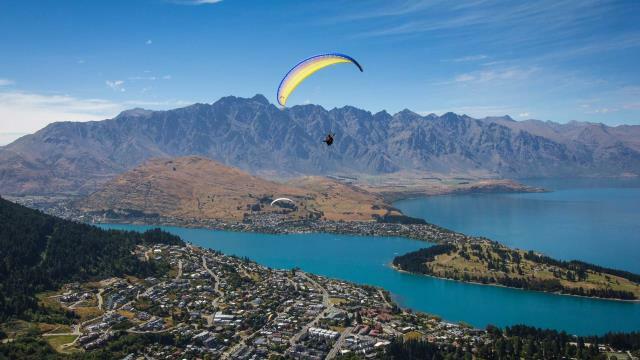 This town is built around the Southern Alps which make for a perfect spot to jump from. So it would be yet another gliding delight because when you’ll be soaring up in the air, you’ll see the beautiful lakes and of course the huge cliff from where you just jumped. Looking for a nice spot where you can enjoy the panoramic view from both of your eyeballs. 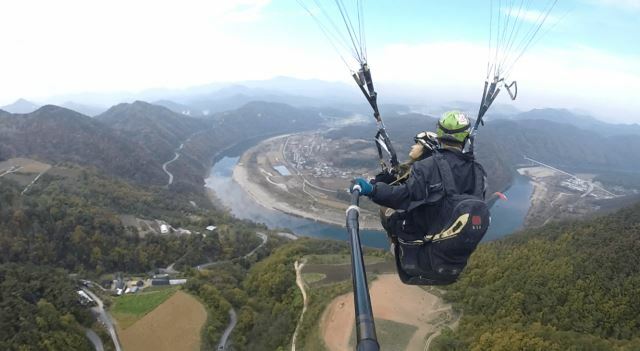 A feast for your frontal cortex, then this might be the paragliding destination which you’ve been waiting for. 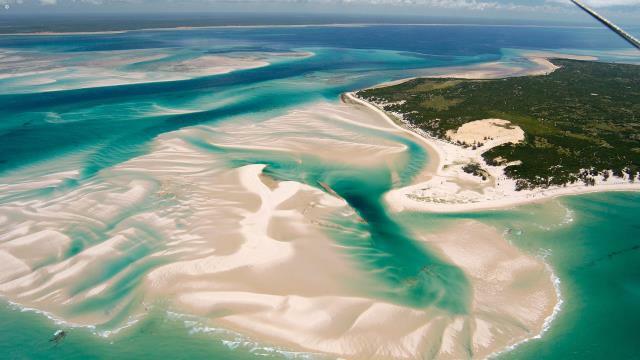 Located in a remote site say 750 km’s from the mainland, the site is a marvel in itself. Boasting no population, the site provides a nice peaceful experience to all adventure enthusiasts. And that’s not all, the white sandy beaches and the crystal clear water adds up to the beauty of the already beautiful place. Another feather in the cap would be the time of visiting this place which is, you guessed it, all year around. This snow-covered wonder invites people from all around the globe, because of its breathtaking heights. This site is also a UNESCO protected one, therefore, the cultural significance of this site is already of paramount importance. The service provided over there is quite blissful as well. 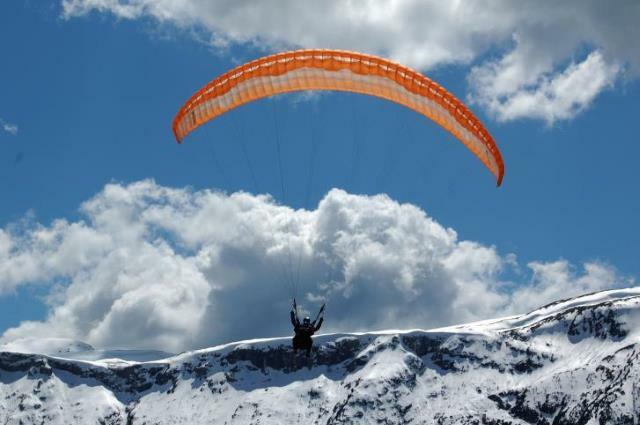 So yeah one could vouch for a paragliding delight among the snow-covered mountains. And in the land of precise watches and chocolates, taking a paragliding tour or a skiing tour would possibly be the best thing for the vacation. So, pack your bags, step out in the cold, hot, humid or any kind of environment, atop a cliff. Just take a deep breath and launch yourself into the unknown. 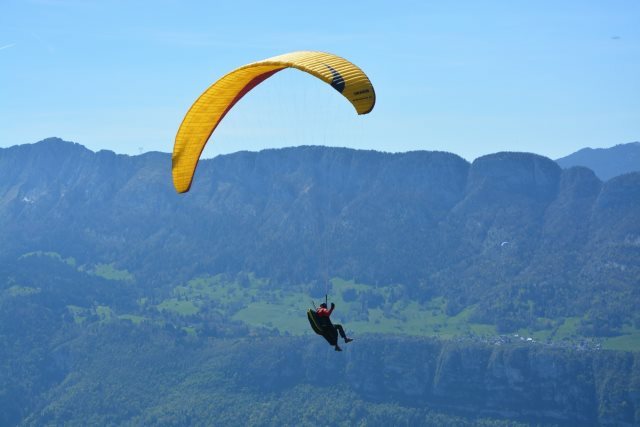 Paragliding is in itself a very thrilling and adrenaline pumping sport. Enjoying it to the fullest will do wonders for your endorphin levels, and who doesn’t want good memories? Well, everyone does! So get out of that lazy bed and explore newer horizons, would you?